If you have a layover in Dubai this post will help you to figure out what to do and see in Dubai on a layover. Dubai´s airport is one of the biggest in the world and the location between Europe and Asia makes it a perfect stopover destination. Do you have a 6-24 hours layover in Dubai? Lucky you, because Dubai is a great place. I know, it is not everybody´s favorite city but it is definitely interesting and it´s one of those places everybody should visit if they get the chance. Though it has a lot to offer you can see the most important sights during your stopover. If you were wondering “What should I do on a layover in Dubai?” you can lay back since I will give you answers to all questions (okay, probably not all, but most important answers). Disclaimer: This post contains affiliate links which mean, I might earn a small commission when you buy a product/service via my link (at no extra cost to you). More about it here. I truly recommend staying longer than just a few hours (read an itinerary for 3 days in Dubai), but the good news is that you can still see a lot during a stopover of about 6-24 hours. Before making some plans, though, I recommend talking to your airline and ask if they let you leave the airport if you only have a short stopover. 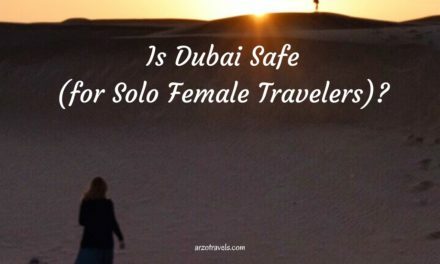 Dubai is also safe (even as a female solo traveler, more here), which makes it even a better destination, just read those tips on the dress code for women. 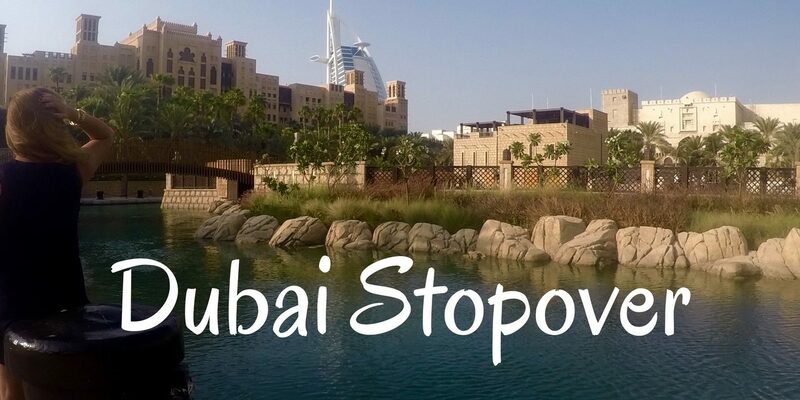 Find an itinerary for 6 hours (excluding the time to get out of the airport) in Dubai and extra activities if you are 8 or 10 hours in Dubai. And you know what? I even added an alternative itinerary at the end of the post. In the city of superlatives, you´ll also find the biggest mall of the world and the highest building next to each other + Dubai Fountain. The Fountain Dance Show is on every 30-60 minutes (not at night) and there are enough lunch/dinner opportunities around Dubai Mall. 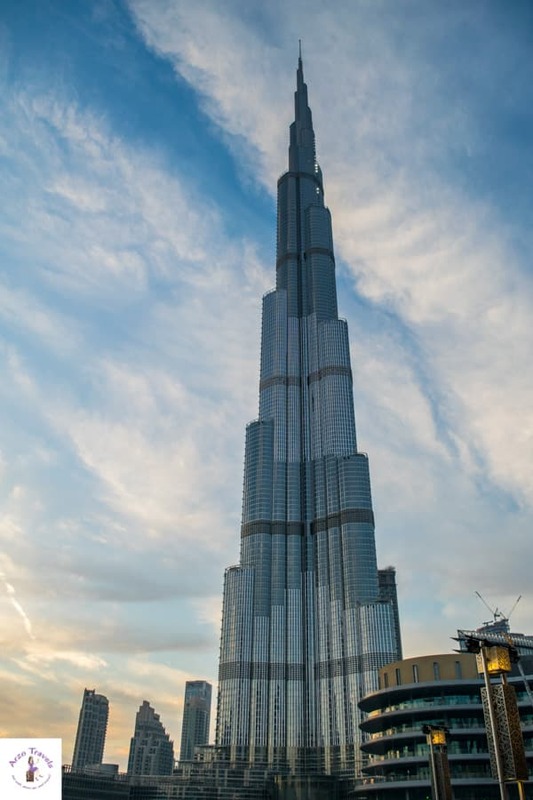 If you have some spare time you can also go at the top of Burj Khalifa. The view is amazing, but I have to warn you that the line might be quite long. You can buy tickets for floor 124+125 or a ticket for floor 124+125+148 – the latter ticket is more expensive but you can skip lines – if you have 6 hours only I would probably not visit the top (unless you skip everything else) as it can be very time consuming. The Fountain Dance Show is free (click here for the times) and there are enough lunch/dinner opportunities around Dubai Mall. If you have some spare time you can also go at the top of Burj Khalifa (more about my visit here). How to get from Dubai Airport to Dubai Mall / Burj Khalifa: about 15km, either by taxi (about 10€) or by metro (have to change once). Keep in mind that Dubai´s street can be pretty busy and rush hour can cause a delay. 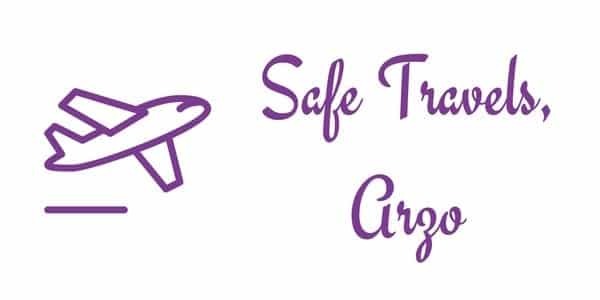 Please do not forget that leaving the airport can take a lot of time and you need to plan in some time to get back, so maybe visiting Downtown in 6 hours is probably all you can do. If you are fast you can soak in some sun at the beach. What can I do in 8 hours in Dubai? Here are my tips: If you have more than 6 hours in Dubai and did stop 1 and 2 you can continue your journey and head to #3. There are not that many public beaches in Dubai, but the Kite Beach is pretty nice and great to take photos of Burj Al-Arab, the only 7* hotel in the world (as mentioned, Dubai is the city of superlatives). If you want to visit the hotel you need to book a table weeks in advance, so this view is probably the best you can get. Tip: Want a drink at a special bar and have some spare time? Head over to 360° bar with a 360° panorama view, which is about 2-3 km from the public beach. I personally think these are the most important sights in Dubai and if you have only about 8 hours (total time in taxis could be probably about 1-2 hours), you might have to head back to the airport via taxi (about 22 km, 15€) or metro (no direct connection). Also keep in mind that it might take up to an hour to leave Dubai Airport, as the lines can be pretty long at customs. What can I do in 10 hours in Dubai? Here are my tips: If you have more than 8 hours in Dubai and did stop 1 and 2 you can continue your journey and head to #3. I love the Madinat Souk, and many parts are open to the public. It´s very charming with all the beautiful souks, nice canals, and restaurants (enough lunch/dinner options given, though a bit more expensive). 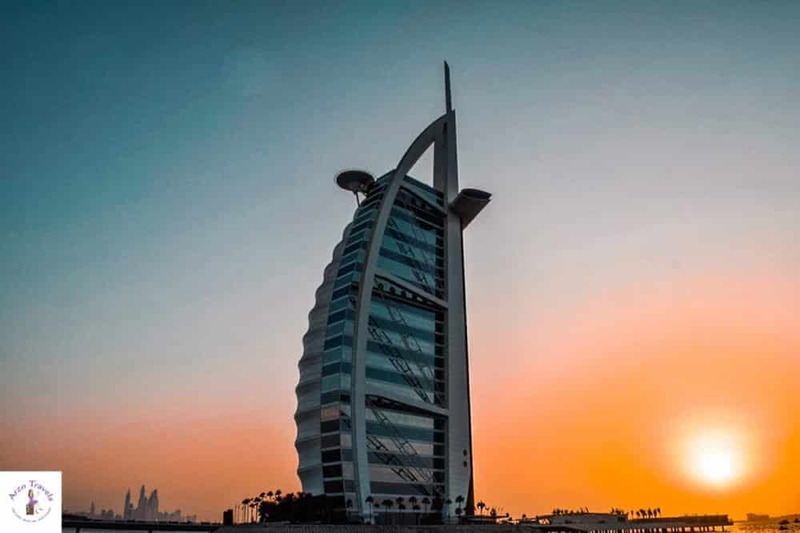 Enjoy the great view of Burj Al-Arab: if you have time ride an abra – the old traditional boat, though it is more expensive to ride an abra here than in Dubai Deira. How to get from Kite Beach to Madinat Jumeirah: Taking a taxi might be the easiest and cheapest (though unfortunately not the most environmentally friendly) option and it is just a short ride (about 3 km, minimum fare is about 4€). Head back to the airport either via taxi (about 30 minutes, if there is no traffic, it can take much longer when there is traffic, about 17€) as it might take too long to use public transport. Still some spare time? Then hop to stop 4. 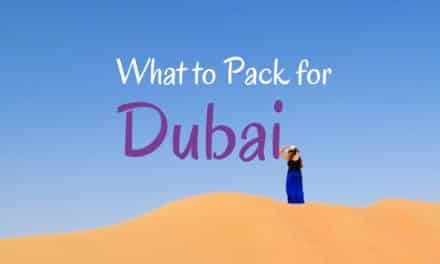 What to do when you have 12 hours in Dubai: If you have a 12-hour stopover in Dubai you could visit #4. This will be a crazy day and if you are there for longer you could do that at the beginning of your trip or towards the end, as it is not very far from the airport (though many shops open after 9am and close after 9-10 pm). 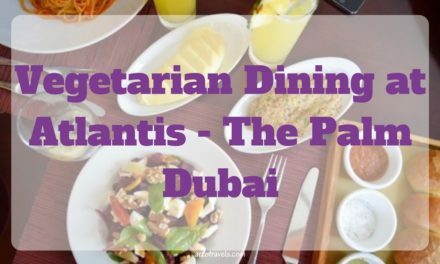 There are a lot of dining options and the food is pretty affordable (check the opening hours and depending on your arrival and departure time you might want to do this first). I enjoyed my trip there, though I know not all female solo travelers feel totally safe there since there are a lot of men who might look and hit on women, but I think, it is still safe and worth a visit. 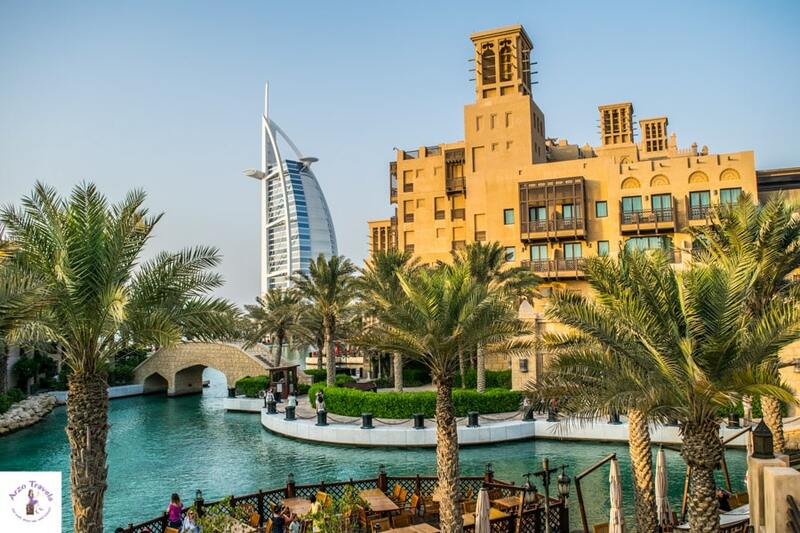 How to get from Madinat Jumeirah to Dubai Deira / Old Town: You can take the metro for most parts but there is no direct connection and it would include some walking or you can take a taxi (about 30 km, 17€). How to get to Dubai Airport from Dubai Old Town: The airport it close to the Spice and Gold Souk (only about 9 km) and a taxi might be the most convenient way (about 6€). Important note: The prices are what I have in mind, so please calculate a few more € – just in case. Also keep in mind, that Dubai can be very busy and rush hour is quite often, so allow yourself more time, so that you do not miss your flight. 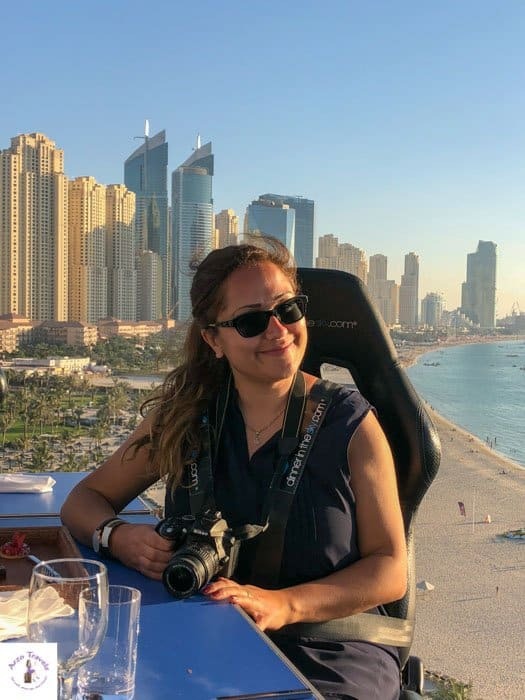 If you have more than 8 hours in Dubai and want to take the “risk” I would suggest a desert trip (there are several tours available of different lengths offered, I have written about several tours here). I am a huge desert fan and actually think a Dubai desert trip should be on your itinerary. 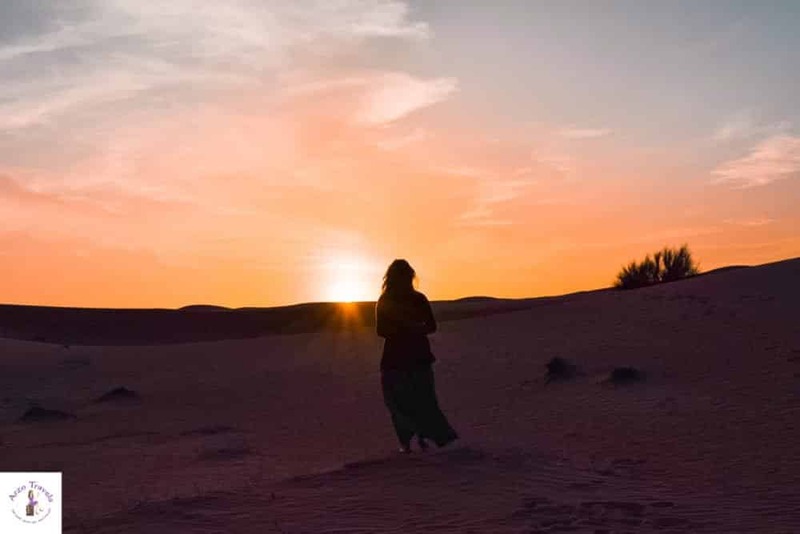 However, since some tours are only offered in the morning or in the evening I did not put it on the itinerary, especially because I would be too scared that you are stuck in the desert for longer (though the chances are low) and you might miss the connecting flight. So, before you book your tour I would make sure you to consider a flight delay and a traffic. Check out prices for a morning safari in the desert or prices for the evening safari tour. You could rent a car and discover the desert by yourself but given the limited time, I would strongly suggest doing a tour. The tours normally take several hours (between 4-7 hours). You can discuss the pick-up point with the tour operator, but though I have never had any problems and everything went smoothly I would strongly suggest having enough buffer. If you have a layover in Dubai for about 1 days, I recommend doing all activities mentioned above – of course including a desert safari trip. 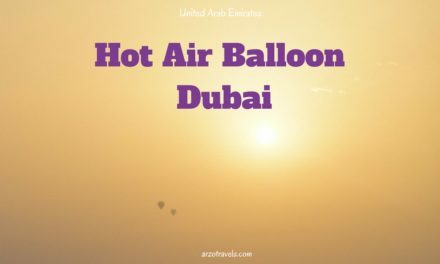 You find all information on each place/activity above and if you can squeeze in all on a 24 hours layover in Dubai you have seen a lot in a short time. Dubai is a fun city to visit with great tours and activities to see – before you plan your trip to Dubai check out visa regulations. If you fly with Emirates Airlines check whether they are free shuttle activities and shuttle buses. 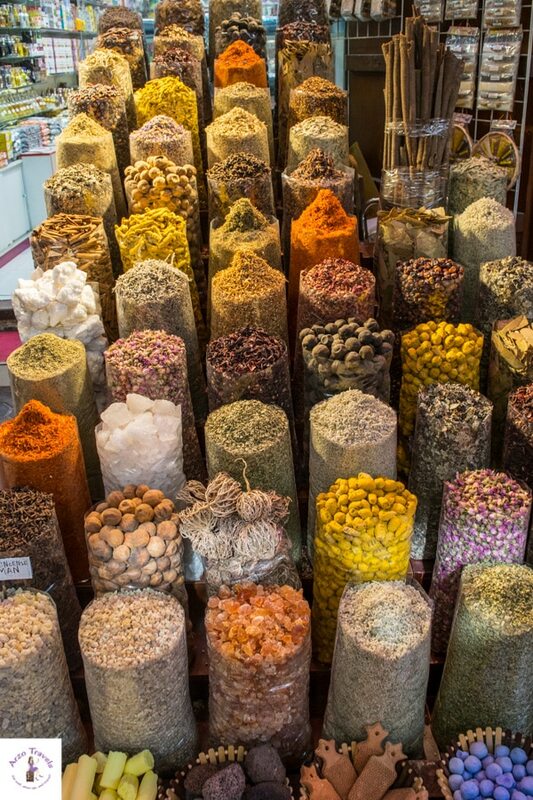 Many places, like the Gold and Spice Souk or Dubai Downtown are not too far from the main airport in Dubai (Dubai has two airports, while one is very small and you will probably get to Dubai via DXB – Dubai International Airport). If you book a hotel in Dubai on a shorter layover I recommend staying close to the airport to avoid bad traffic. There are some hotels in the area of the airport, but Dubai Downtown is also great for staying overnight. You can click here to check out the best rates for your 1 day layover in Dubai. To book great tours and activities and save money click here and the best hotel deals and offers click here. 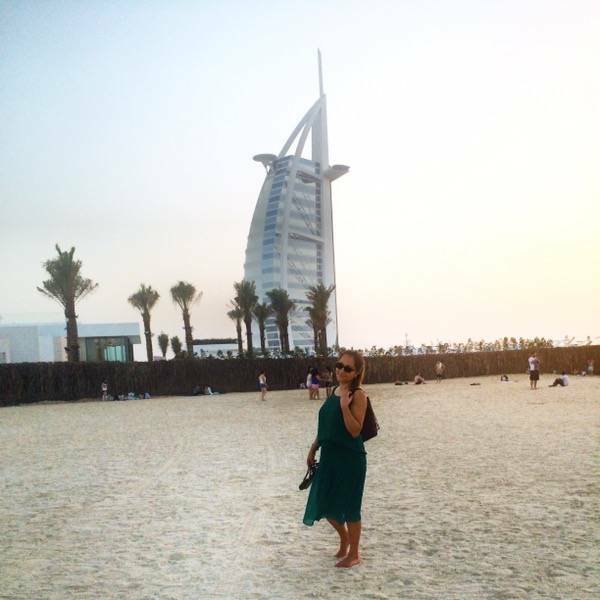 More about Dubai and tips for the Emirates are here.